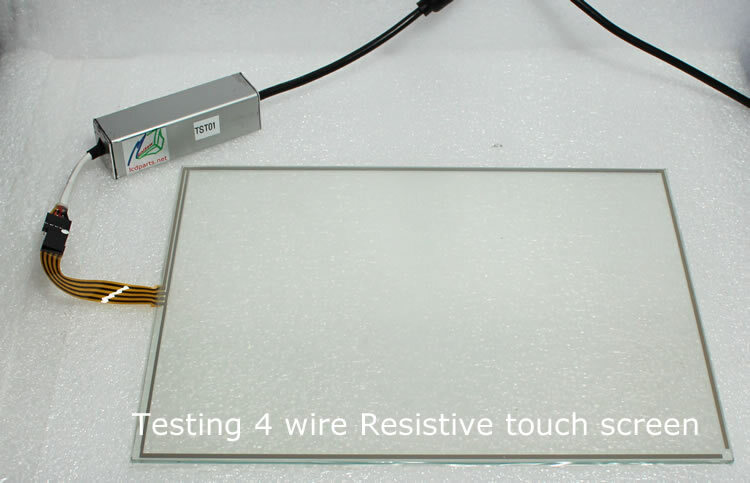 TST01 – custom build for testing 4 wires, 5 wires and 8 wires resistive touch screens. Connect USB cable to any of USB port. Unzip driver and click setup icon. That’s it! 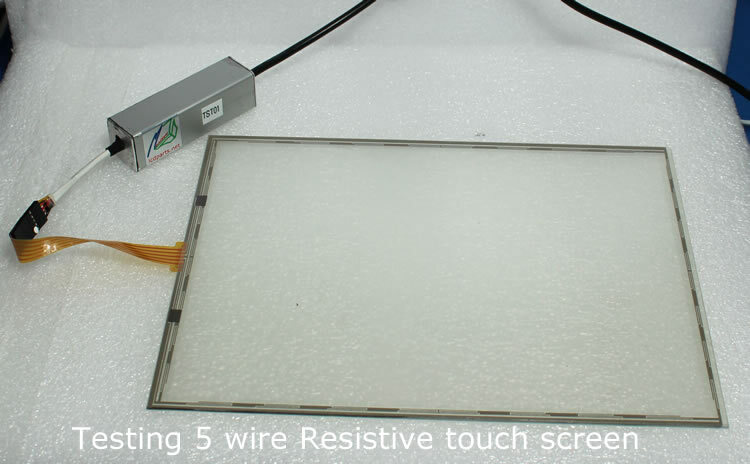 Connect 5 wire ribbon cable to TST01, it does not matter which end plug into TST01's 5 wire connector. Then touch any part of touch screen, you should hear a sound wherever you touch. If not, then that spot is bad. 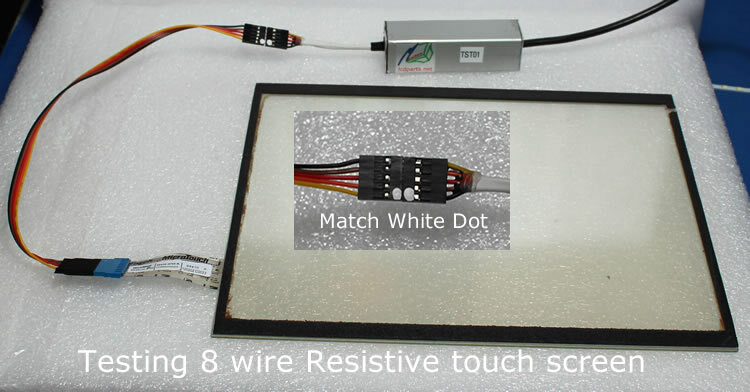 Connect 8 wire ribbon cable to Touch scree, it does not matter which end plug into 8 wire connector. Then connect 5 pin cable as shown photo below. You should match white dot. Then touch any part of touch screen, you should hear a sound wherever you touch. If not, then that spot is bad.